The ombré trend is everywhere. From hair, nails, fashion to home decor, a gradated wash of color is endlessly on trend. And it's not going anywhere soon. The ombré nail is not the easiest thing to pull off. 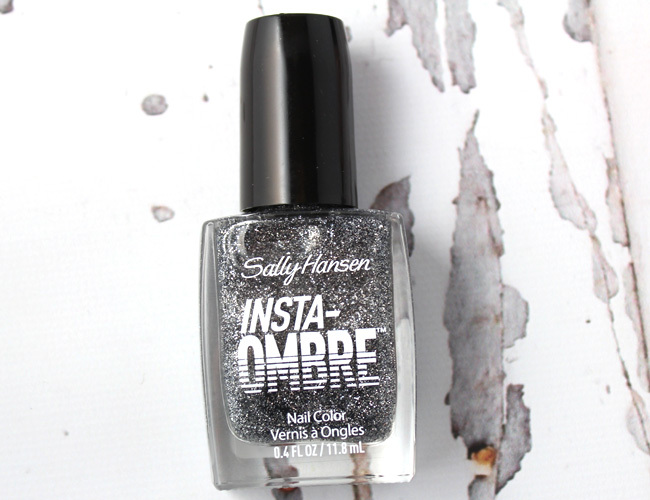 Leave it to Sally Hansen to come up with the Insta-Ombre. 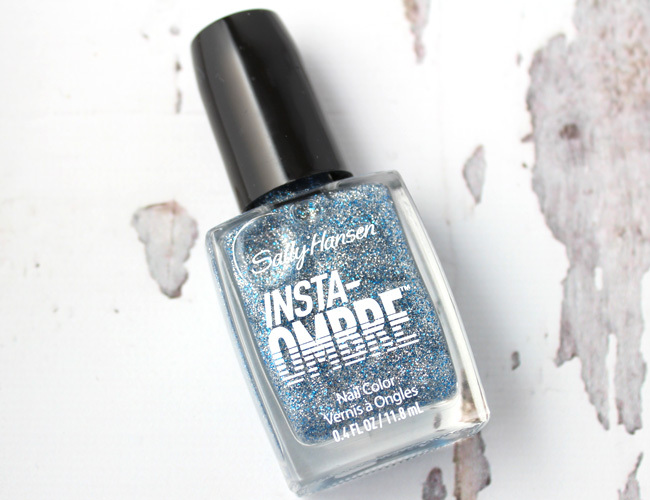 Insta-Ombre is an innovative way to get an ombré nail look in just three easy steps. Think of it as an "ombre-nail-in-a-bottle." 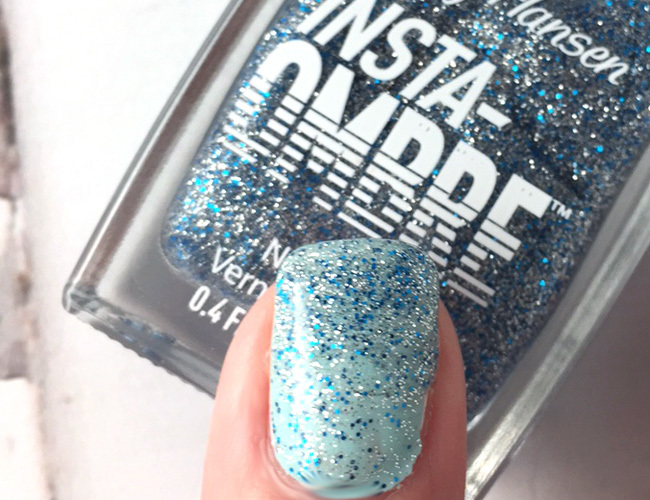 Insta-Ombre is available in eight really pretty glitter shades. It's like a special effect ombré and it is actually easy to do, in the three steps as I mentioned above. Step One: Apply one coat of Insta-Ombre to clean, dry nails. Step Two: Apply a second coat of Insta-Ombre from mid-nail to the tip. Step Three: Apply a third coat of Insta-Ombre only the nail tip. There are eight glittery shades to match every mood. Grey-diant: A stunningly sparkled fade from light to black. 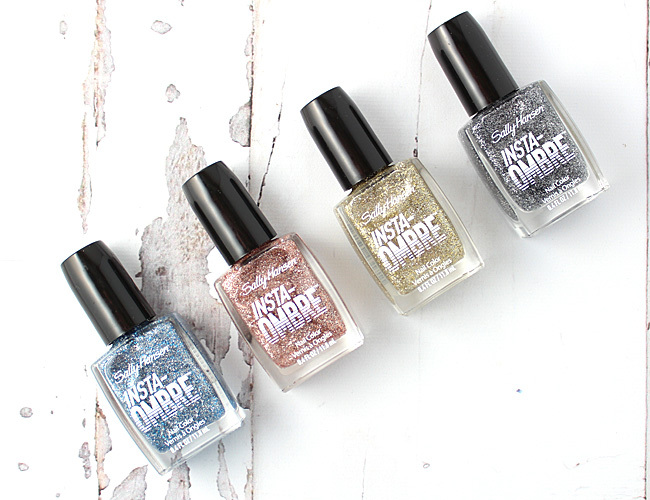 These are really pretty cool polishes. I have four of the polishes from the collection; Copper Cap, Cobalt Coat, Gold Grade and Grey-diant. These are basically thin, clear polishes with glitter in them; they are very sparkly. They are made to easily layer and build up. While the instructions say to wear on clean, dry nails, I think it is better to wear over a base color to get the true effect, but you can wear them either way. I applied Cobalt Coat as instructed but over Zoya Lillian (from the Zoya spring collection) to get this look. It was pretty easy. I suggest waiting about five to six minutes between each coat and letting the polish dry a long time before going about your business. The polish stayed tacky for over an hour. I was surprised by how long it took to dry. 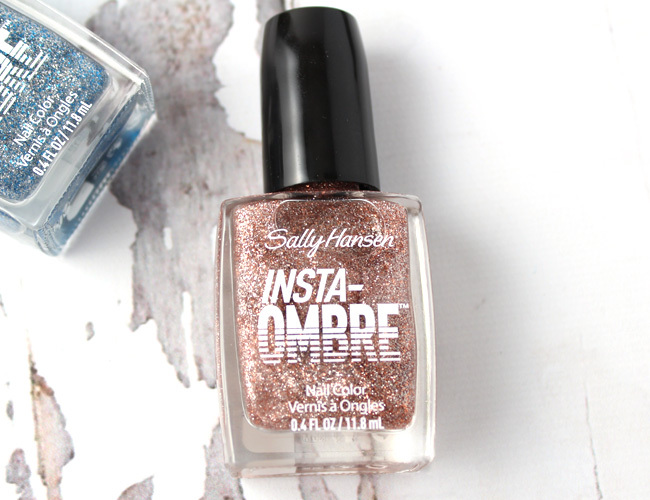 Sally Hansen Insta-Ombre Nail Colors are available at your favorite drugstore and mass retailers now for about $5.99 each. Shop at beauty.com or Walgreens for a great selection of shades.